Due to aging, genetics, and sun exposure, the face undergoes a variety of cosmetic changes. These include the development of fine lines, wrinkles, and creases. The skin and facial tissues also lose elasticity over time, causing jowls, deep folds, and an overall sagging appearance. These may cause patients to look older than they are and significantly impact self-esteem. A facelift is a long-lasting solution to correct these cosmetic concerns. Through facelift surgery, NYC surgeon Dr. David Cangello can restore definition, restructuring the deeper layers of tissue and muscle. Artistry and meticulous surgical precision are the hallmarks of Dr. Cangello’s practice, allowing him to restore a youthful look for patients. Contact plastic surgeon Dr. David Cangello today at (212) 644-4416 to schedule a facelift consultation. Ideal candidates for a facelift in NYC include men and women who want to reduce the signs mentioned above of facial aging, and who are in good health and have decent skin elasticity. Most first-time facelift patients are in their 40s or 50s, but there is no ideal age for a facelift because the factors that contribute to aging will vary from patient to patient. Dr. Cangello fosters strong relationships with his patients, and this critical partnership begins with an initial consultation. He creates an environment where patients feel comfortable as they start their journey toward considering a facelift. 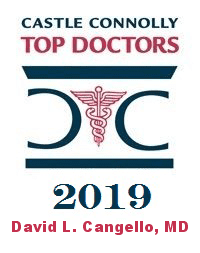 Dr. Cangello and his staff are committed to serving patients with the utmost discretion, compassion, and care – every step of the way. During the consultation, Dr. Cangello will assess the patient and review their medical history to determine their candidacy for the procedure. He will also answer any questions or concerns the patient may have. Patients will also be guided through their full range of options for facial rejuvenation, including procedures like fillers or Botox® injections, which can complement the effects of a surgical treatment. Dr. Cangello’s goal is for patients to have a thorough understanding of the best options to reach their aesthetic goals. For superior results, Dr. Cangello takes an artistic and personalized approach to each procedure he performs. Instead of the “pulled-back” look that patients are worried about, today’s techniques create naturally refreshed results. During the consultation, Dr. Cangello will make recommendations about which techniques would best meet the patient’s goals, depending on their extent of facial aging and personal anatomy. Patients typically have two options: a mini lift and a full facelift. A mini facelift is perfect for patients who only have moderate signs of aging and would prefer a less-invasive surgery. Instead of addressing the entire face, a mini facelift targets the lower face and reduces the appearance of jowls, excess skin, and creases. During the procedure, incisions are usually made along the front of the ears, near the tragus. From there, excess fat or tissue may be trimmed to enhance the contour of the face, and loose tissue is tightened. A full facelift is a better option for patients who have severe signs of aging, like deep folds and loose skin at multiple areas of the face. During this procedure, incisions are typically made along the ear, extending down to the earlobe and along part of the hairline. However, this method can vary depending on the exact areas being treated. After the incisions are made, the underlying muscles are tightened and excess skin is removed. The tissue is then repositioned and sutured into place, resulting in a smooth, naturally sculpted appearance. Patients receive a detailed pre-operative plan before their surgery, which is individually tailored to their procedure and may include dietary guidelines, avoiding or taking certain medications, and anything else to ensure a positive outcome. In addition to following the pre-operative guidelines, there are a few things patients can do to help their surgery day go smoothly. They should arrange for a responsible adult to accompany them to and from Dr. Cangello’s NYC office since they will likely be under either general or sedative anesthesia during the surgery. It’s also a good idea to have someone help out at home for a day or two after surgery. While it’s not always necessary, many patients find it helpful to have the extra assistance at home so they can get the most out of their recovery. Contact Us today at (212) 644-4416 to schedule a Facelift consultation in NYC. What Can I Expect Immediately After My Facelift? Patients will likely have some swelling and soreness. Facelifts usually don’t cause a significant amount of post-operative pain, and most discomfort can be alleviated with pain medication prescribed by Dr. Cangello. Will a Facelift Leave Noticeable Scars? Facelift scars are typically minimal and well camouflaged. In the case of mini facelifts, the scar is tiny and is located along the natural curvature of the ear, which helps it blend in. For full facelifts, the scar is likewise hidden along natural borders of the facial contours, sometimes extending to the hairline where it is hardly noticeable. In general, patients may experience mild discomfort for the first week, in addition to some swelling and bruising. Swelling can last for a few weeks up to a few months, and bruising will likely be present for about two weeks. To decrease swelling, patients should keep their head elevated as much as possible for the first few days after surgery. Stitches are usually removed after about five days. While the final results of the surgery will be obscured while the face is still swollen, keep in mind you will look different once the swelling is gone. By the third week, most of the swelling should subside. Patients can usually return to work in three weeks, and regular activities can be resumed in about a month. Will the Results of My Facelift be Permanent? While a facelift can’t stop the aging process, it can reverse some of the significant signs of age. Patients can expect the results to last for around ten years. Effects can be prolonged by maintaining a healthy lifestyle, limiting sun exposure, and by not smoking. Many patients also maintain their results by undergoing minimally invasive procedures like fat grafting. By injecting fat into specific facial areas, Dr. Cangello can restore volume lost, resulting in a youthful appearance. Will My Hairline Shift After a Facelift? Hairlines should shift minimally, if at all. With proper planning of the incisions, any shift that does occur should be negligible and not noticeable. The exception to this is when men have facelifts. Depending on where the incision is placed, hair-bearing skin (from the beard) can be shifted up onto the tragus of the ear. Dr. Cangello always discusses placement of the incisions with male patients and the ramifications of how the hairline may change. Where Will My Facelift in NYC Be Performed? 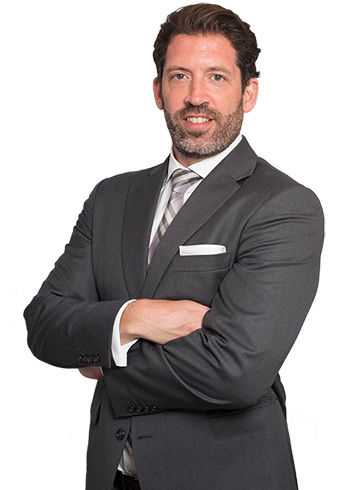 Dr. Cangello is dedicated to his patients’ comfort, safety, and privacy, which is why he performs facelift surgery in his fully accredited (AAAASF) operating room at his NYC office. And for optimal safety, Dr. Cangello only works with board-certified anesthesiologists. Patients considering facelift surgery are welcome to take a tour of Dr. Cangello’s operating room during their consultation. For patients who feel more comfortable having their procedure performed in a hospital type setting, Dr. Cangello also has privileges at Manhattan Eye, Ear, and Throat Hospital and Lenox Hill Hospital in NYC.